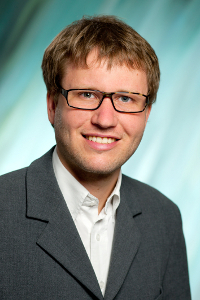 I joined the theory group at the Max Planck Institute for Polymer Research as a postdoctoral fellow in February 2015. My position is funded by the collaborative research center TRR 146: Multiscale Simulation Methods for Soft Matter Systems. Within the TRR 146, I work on many-body effects and optimized mapping schemes for systematic coarse-graining. My current research focusses on the extension of existing coarse graining schemes to include 3-body nonbonded interactions and the implementation in the coarse graining toolkit VOTCA-CSG. I obtained my PhD at Johannes Gutenberg-University Mainz in the Condensed Matter Theory Group group KOMET 331, supervised by Prof. Friederike Schmid in 2015 in collaboration with the SCHOTT AG in Mainz. In my PhD, I focussed on classical and ab initio molecular dynamics simulations of silicate and borate glasses and melts. During my studies, I received a Diploma in Physics (Dipl.-Phys.) from Johannes Gutenberg-University in Mainz (2010) and a B.Sc. with Honours from the University of Canterbury in Christchurch, New Zealand in 2007.